Morgan Stanley’s recent decision to loosen the reign for their financial advisers on Twitter is the latest in a long list financial services social media case studies. Last December, FINRA fined Barclays $3.75M for system is record keeping and email retention failure. And last June, the regulator warned investors against trading on “pump-and-dump” emails. The finance industry has their social media conferences and consultants. Because of specific finance industry rules and regs like FINRA 10-06 and 11-39 and SEC Risk Alert: Investment Adviser Use of Social Media, using social media in financial services must be in accordance with applicable advertising, account origination and document retention requirements. Mike Langford (@MikeLangford) is the CEO of finservMarketing and a financial services industry veteran with 20 years of experience in roles spanning customer service, finance and investment advice and management at Fidelity Investments, State Street Corporation, The Pioneer Group and BFDS. In this episode, he explains how Certified Financial Planners, Investment Advisers and Bankers can use social media effectively and responsibly. 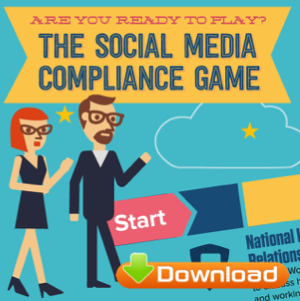 Most people think social media compliance is just for regulated industries. And it's true that regulated industries do have more rules to comply with. But social media compliance is everybody’s business. Whether you’re business is regulated or not, there are dozens of federal and state regulations and local ordinances that dictate how you can and can’t use social media lawfully for business. Up to now, that strategy for winning social media compliance at most companies has been to issue a social media policy. But no one reads your social media policy. They sign for it, and put in the bottom drawer. 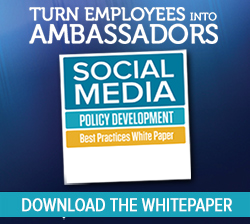 Despite the fact that 80% of employers have social media policies, 70% have disciplined employees for social media misuse, research shows. We'll also walk through the major US rules and regs that impact how organizations can and can’t use social media lawfully in the workplace. 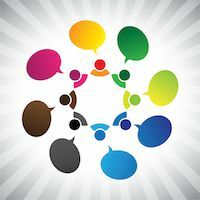 If your social media policy requires your employees to include a disclaimer in their social media posts that their opinions are their own, that's unlawful, according to a US Federal judge who called the restriction “unreasonably burdensome." How can you include a disclaimer in a Facebook Like anyway? The development is the latest in a series of decisions by the NLRB, which has been challenging employers to reconsider whether or not they have the right to dictate how their employees use social media at all. 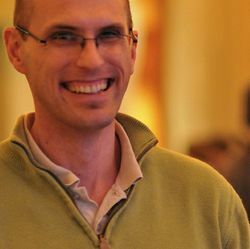 Eric Schwartzman is CEO of social media compliance training provider Comply Socially, which helps employers manage the risk and capitalize on the opportunities of social media in the workplace. Follow him on Twitter @ericschwartzman. The number of social media policy violations by employees has doubled over the last 16 months, according to the 2014 Social Media in the Workplace Survey. 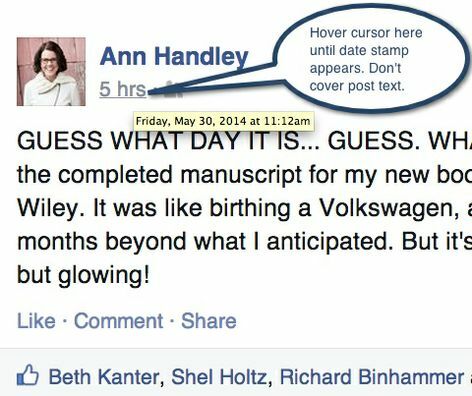 Ann Handley didn't violate anyone's social media policy, and those aren't schadenfreude likes from Beth, Shel and Richard. They're only there to demonstrate what kind of screen capture you need to take of a Facebook post if you're documenting a social media policy violation. Don’t get us wrong. We love social media and value free speech. We’re not condoning violating anyone’s personal privacy rights or their rights to discuss wages, hours and working conditions concertedly. 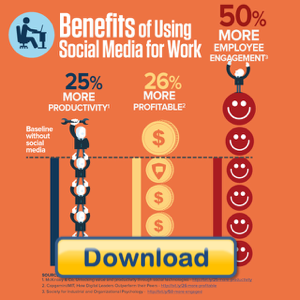 Used effectively and responsibly, numerous research reports show that social media increases profitability, productivity and job satisfaction. 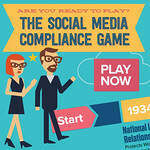 But when social media is used by workers who haven't been taught to play the social media compliance game, violations are more likely to occur. And enforcing a social media policy requires proof of a violation. 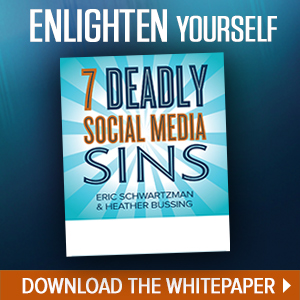 With social networking as popular as it is, social media misuse has become one of the costs of doing business. This show is about documenting misuse when it occurs, before it's removed. We talk to former broadcast journalist and Red Cross public affairs officer Ike Pigott (@ikepigott) -- who currently serves as communications strategist to Alabama Power (@AlabamaPower) -- who walks us through what he’s learned in the trenches about documenting social media policy violations. What steps has the FDA taken to provide the pharma industry with guidance and regulations around how drug companies can effectively and responsibly use social media for marketing, customer engagement and scientific research? We talk to John Mack (@pharmaguy), Editor & Publisher of the Pharma Marketing Network about the issues and challenges of regulating how pharmaceutical companies conduct social media marketing. How money and politics drove the Kansas Board of Regents to issue a social media policy that threatens academic freedom statewide with Doug Bonney, chief counsel and legal director for the American Civil Liberties Union of Kansas. State legislators threatened to cut funding after a journalism professor sent out an angry tweet blaming the NRA for the Washington Navy Yard Shooting. The Kansas Board of Regents responded by issuing a Draconian social media policy to try and deter faculty and staff from saying anything that might attract the disdain of elected state officials. Concern among educators that politicians could try and control the conversations about a host of issues of public importance by threatening to cut funding. Why the first draft of the Kansas Board of Regents social media policy caused a ruckus and what they did to try and fix it. 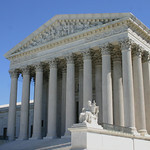 Problem of references to the "improper use of social media" in the new policyGenerally, citizens have more free speech rights than government employees, because government employers have some rights to impose restrictions. Also the NLRA, which protects private sector workers' rights to organize and bargain collectively do not apply to government workers or airline or railway employees for that matter, as well. Who has greater free speech protections: private sector or government employees? Although the proposed FCC changes to Net Neutrality released last week are short on details about what constitutes "commercially reasonable," it looks like we're closer to reclassifying ISPs as Title Two common carriers than we were in the draft that was allegedly leaked to journalists a few weeks back. In this podcast, we talk to EFF Intellectual Property Director Corynne McSherry (@cmcsherr), who spent the weekend pouring over FCC Chairman Tom Wheeler's proposal (@TomWheelerFCC), which is now available for public comment through DearFCC. 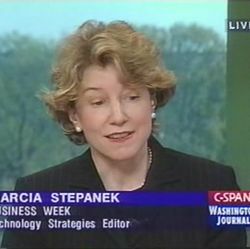 Marcia Stepanek is a journalist, new media strategist, NYU professor and an award winning news and features editor. Her upcoming book is "Swarms: the Rise of Digital Anti‑Establishment." Eric: Tell us about yourself. Marcia: I have been covering the intersection of technology and its impact on society and business, for pretty much the past 25 years. I did a new media fellowship at Stanford and went out there all primed from Hearst Media in Washington to cover the shrinking middle class in America and the increasing division between the haves and have‑nots. Instead, when I got out to Silicon Valley everyone said, "Are you crazy? We are in the middle of Silicon Valley, and there's a revolution happening here." Certainly, there was at the time I was out there with the rise of e‑commerce and with the rise of technology. I switched my entire curriculum in order to study the impact of communications and new media technology and the law on business, on technology itself, and on the way people advocate for social change. Even back then, we saw the center of power moving from the center of establishment organizations to outside the organizations. The evolution and implications of that happening, as you well know, has been going on for over a decade and is still continuing. Eric: You had to shift from class warfare to digital revolutions. Marcia: Often, they're the one and the same. Eric: Now you've got this book coming out about digital swarms, which talks about digital swarms becoming even more powerful and more sophisticated. Marcia: It's more about how networks and communities have been evolving and scaling. As they mature, a more sophisticated and permanent presence is created. We're seeing a lot of people organizing themselves into networks. Certainly this is also occurring politically around various interest groups. It also occurs in more of these informal communities and around communities of political interest. In many ways, we have seen them start to exercise their muscle. I'm not talking so much about the Arab Spring. I'm not talking about all of that. I'm talking, now, about a communities ability to organize very rapidly as accountability networks. For example, a couple of years ago, the Komen Foundation, a foundation that was dedicated to fighting breast cancer, made some controversial decisions. The organization did not communicate these decisions very transparently or openly with so many of its supporters In fact, it started trying to dissuade people when they found out about some of the decisions that were being made, from commenting. This kicked up an angry swarm among supporters who, over the course of three days, were not only were able to hold some of the leaders of the Komen Foundation accountable for those decisions, but wouldn't stop organizing around this until some of the leadership had in fact been changed. We've seen this repeatedly. We've seen this when people get angry at Rush Limbaugh, or get angry at any number of incidents. We saw this with the Stop SOPA campaign. We can see communities organized very quickly to achieve something, a singular goal, very rapidly and very clearly. All in the course of a week or less. These aren't accidents. This basically show that these networks have matured and that they're pretty consistent. They don't organize overnight. They don't always express themselves, but when they have a reason to do so, they can. That's what a swarm is. We're going to see more of that. It's about not so much about the toppling of establishment organizations, but like sand against limestone we see the corrosion, the uncomfortable reshaping of the status quo. Eric: You've been looking at this space for a long time, and you have some perspective here. Let me give you my take, my uninformed take compared to yours, of what I see with these digital swarms. To me, it seems like they lack stamina. You see people organize around these flash points, around these wedge issues, around these issues that they're emotionally invested in. Then when it comes to the drudging work of something like policy‑making, they seem to dissipate. I'm thinking about Egypt, for example. When it came to organizing to overthrow the Mubarak regime, everybody had their hand in that. When it came to the hard work of organizing behind parties and changing the political landscape, it didn't seem like people really had the stamina for that. I also think about the type of responses I get from my social networks to issues that are serious. I'll post once in a while about an issue like climate change or net neutrality, and honestly, it doesn't seem like people have a lot of patience for that type of stuff unless it's really some sort of a flash point. Is that your perception? Am I missing something? Marcia: I don't think it's about stamina. I think there are permanent accountability networks. I do think that, yes, if it gets to a flash point, you're going to be there, and I'm going to be there. In a lot of cases, I'm not just going to be online. I'm going to be out in the street, as well. We saw this, again, with Stop SOPA. We've seen it on small‑scale actions. We've seen it in neighborhoods who are organizing. We've also seen it evolving out of so much of the crisis. We look at organized neighborhood groups, like IOB and other things that are basically organizing themselves as permanent accountability networks around a very singular goal. In IOB's case, to build park space out of urban blight in Brooklyn. I think pieces like that represent the transformation of some of these flash‑in‑the‑pan anger groups that are permanent organizations. Most of this works very well on a local scale. There's always been the challenge of moving people from online to offline action. There's always been the challenge of, for lack of a better term in the nonprofit sector, transforming people from "click‑and‑givers" to actually rolling up their sleeves and attending the walk. [laughs] Attending the fundraising events and so on and so forth. So much of this is still in transition from getting people and more inclusive voices to be organized and to see that they can have a say. And then strategically figuring out how to organize not only keeps people engaged, but keeps them engaged across multiple platforms, including face‑to‑face engagements. We're seeing some groups doing this better than other groups. Chiefly, I am impressed with this area, and I think we're going to be hearing a lot more about, a lot of feminists with the small f networks. We're seeing a lot of women organizing online, in very effective ways, and in ways that create offline engagements as well. We're also seeing it in the neighborhood, as I just mentioned, of IOB. We're also seeing it in certain pockets of students working for long‑term change around educational reform. There are some areas that are doing it well and some areas that are doing it not so well. To the extent that there is no such thing as viral anything that is more of a strategic engagement, some of the leaders and top influencers in some of these networks are getting wise on how best to lead some of these new organizations and social networks that can become swarms when the energy around it is right. It's a new kind of leadership. Eric: We see elected officials and politicians working to build their digital networks, which would say that they do see the value in it. I've been told by policy wonks that elected officials discount the digital storm or swarm, rather, compared to the calls and the letters. Is that true? Are those basically placid bureaucrats talking about this storm coming? Marcia: No, I think the game is all about listening. Mubarak became a verb, don't get “Mubaraked,” the sense of the politician discounting power and not even listening [laughs] to some of the networks. Of course, so much of social media is about listening and being wise to the conversations and the pulse of what's happening, of course, setting up lots of monitoring systems, lots of tracking and metric systems to be able to do this. Social media keeps maturing and evolving. Eric: When you look at this space and turn back the clock to when you started as a Fellow at Stanford and you made a shift from division to the digital revolution, looking at the impact on the law and this idea of digital swarms, what surprises you most about where we are today? Marcia: That people still tend to underestimate in the short term the power of change. I think that's always been the case with technology. The systems are woefully behind technological advances and our ability to deal with or understand or connect with technology as fast as it's occurring and our systems ability to catch up with it. What's interesting here is that this isn't about our systems being able to keep up with it, but power, again, moving outside of the organization to create alternatives and also to create new ways of doing things. We're not always talking about revolution with a capital R. We're not always talking about marches in the streets. We're not always talking about the occupation in the Arab Spring so much. These were merely the early muscle‑flexing going on around this. Now, we're seeing this kind of chafing happening in a small company, in a small nonprofit, in the donor space, in the startup space. It's now pretty much creating swarms around how you raise money, how you keep money, how you organize people, how you deal with customers, with donors, how you make change in ways both big and small. It's about learning how to be strategic with these tools against certain measurable goals and knowing where you're at. At NYU, I co‑teach with Howard Greenstein and Tom Watson. They taught one of the first classes in the country centered around social media strategy. We are creating the kind of engagement and support needed for a long term change, as well as being the tail that wags the dog on organizations, so that you have transparency within organizational settings. So you're revamping so much of what our establishment organizations used to be so that they become more porous organizations. The Internet has disintermediated pretty much everything in its past and we still have various forms of the middleman, whether it's a nonprofit organization or small businesses. Because of some of the power of these social networks, specifically as they mature, we're seeing a lot of these middleman organizations having to reinvent what they do and who they're doing it for and their missions. For many organizations, there's a very difficult prospect to rewrite their mission because there is this technology out there that says people don't need a lot of these organizations in the way they used to. Eric: When you look at the broad business landscape and you see how these networks, how digital media and social media and digital swarms are forcing business models to reinvent themselves, are there any common steps you see organizations taking to get it right and adapt to this new environment? Marcia: There are some best practices in various technology sectors. I think, again, we're still seeing middlemen. For example, in business, you've got ad agencies who are the middlemen. You're trying to create communities of customers to be able to have experiences that invite businesses in, to be more like the waiter at the party serving drinks, rather than the dictator who gets in and who gets out. So many businesses are still not listening and are not being part of the consumer experience or the donor experience or supporting where the customers are or the donors are, but are still trying to control the conversation. I think to the extent that, again, they're not listening and again, they're not hearing and not putting the money into hearing what the customer wants and their whims, given the acceleration that these, too, will lend to consumers and donors and people on the outside. It's still a huge challenge for people to get a handle on this stuff. It's still relatively new technology. We're still seeing the beginning of how all of this is going to affect and reinvent so many business models and so many mission statements. Eric: When you talk about listening, you're talking about some sort of big data analytics exercise? Marcia: Yeah. Not so much psychographics, which has been the art of advertising since day one [laughs], but more seeing that a business is not so much about trying to convince people that they have a need to buy something. Being more in the listening mode of deciphering how people live their daily lives and getting the data down to such a fine level that it's filling a need that's already been stated or that has already been demonstrated. To be more responsive, rather than to be persuasive. That's the big change. Eric: When you look at the business landscape, you see businesses in all sectors, some who are engaged and have adopted technology, social media outside of just marketing and PR, but are actually looking at how digital networks changed their business models. Then, you have competitors in the same sectors who are disengaged. You could go to one company and say, "Hey, big data, now it's the time. Let's start listening." They would say, "Let's start. Let's go." Then, you would go to another company in this day and age and say the same thing and they'd say, "Huh, what's that? Why do we have to do it?" What is it that distinguishes the company that gets it from the company that doesn't get it, from the company that's ready to listen to the company that's not ready to listen? What are some of the criteria by which you could categorize organizations into these two buckets? Marcia: There are four or five generations that are in the marketplace today. I think that the ones that don't get it are still in business because they can still rely on the old habits. Older generations have come to expect of them the same thing again and again. Increasingly as younger consumers, particularly those more in digital, gain earning power in the market place and have increasing say over what's relevant and what isn't [laughs] , that’s when we’ll see real change. Eric: That's only in a competitive market. What's going to happen if Time Warner winds up becoming the only way to get on the Internet in most markets then, couldn't they just do what they want and be disengaged if they wanted it? Or you think about like an airline that only services a certain market or health care organizations. Aren’t they more immune from online criticism, since they’re they only game in town? Marcia: I'm thinking about any company needing to be relevant and urgent to whatever demographics they're trying to sell to. To the extent that these tools can be used to convey that most effectively, the messages that are being conveyed, the ones that are going to be the most effective are going to be by and for the people who are the consumers, rather than to be pushed out by people who are not. What they ought to be doing and what they ought to be buying, so much of this has to be citizen produced or at least very sensitive and on target to the very personalized needs and wants of that segment of the market place that companies are trying to crack. Whether you're an airline or whether you're any number of other companies, you still have to be listening to and be sensitive to what consumers want. You always have had to be. I think a lot of companies are still befuddled by the power of these tools and totally underestimate the fact that people talk to each other, rather than get most of their information from the institutions or the companies themselves. Eric: You publish a blog called Cause Global. It's an award winning blog on the use of social media and social innovation. I know that your focus with the book, "Digital Swarms," it's largely on how nonprofits can use these digital swarms and tap into them to further their cause. Can you talk a little bit about what differentiates how a nonprofit or an NGO would take advantage of these kinds of digital opportunities or tap into the digital anti‑establishment to live apps? Marcia: We're seeing it in so many levels ‑‑ communications, fundraising, distribution of the aid and services. It's mobile technology, social media has made a huge difference, whether we're talking about engaging communities of need in Africa or South America to various countries helping to be part of the solution. Or, whether we're talking about new ways of communicating just what the mission is, the big "so what" of so many of these causes. For even the most simple things with regard to communication, they have a responsive website so that they can tap into this or even be part of the conversation of people who use mobile for most of their communication. On many levels it's a challenge of communication and distribution and it's a challenge of engaging and supporting people who are walking the talk and have the ability to see measurable change in the community. When you look at a big NGO like UNICEF, for example, you're looking at how mobile technology is getting out into the field and creating actual measurable results to include people in villages to be able to take their own blood tests and to provide training to people on digital devices. When you look at things like M‑Pesa in Kenya, for example, that mobile bank, you're looking at a whole new generation of social that can now finally run their own businesses and finally get paid directly and finally not have to be at the end of the line of a lot of people holding their hands out to get the money that's coming in. You're talking, in many cases, about deadline corruption, business models that are born of that kind of technology. You're also looking at video, short form video being made in- house. There's a new form of literacy. People have daily conversations, showing people, not telling people what to think. Showing people what you've done and proving it. We’re seeing change on all levels, the way people raise money, distribute aid and compete for democracy. Eric: Tell us about the book. When does it come out? Marcia: The book will come out early next year. The germ of the idea happened way before the Arab Spring. It was almost complete and then the Arab Spring happened. Then, it was Kony 2012 and then it was a whole bunch of other things too. It becomes clear, that to learn about social flow analysis and to look at some of the work that's being done to analyze how things go viral, behavioral analysis, talking to scientists who are communication experts in Silicon Valley, to activists behind much of what did actually happen in Egypt. I interviewed people from all over the world on the state of movement and political organizing online. It's been a fascinating journey and it's clear that it's still rapidly evolving. My book is focusing on the people, the ideas, and a little bit of analysis around what has been and some conjecture over what's going on, what's ahead and what will be. Eric: You also curate this NYU speaker series on disruptive innovation in the advocacy sector. The book's coming out next year, so I'm sure you're still in the throngs of it. I remember when Paul and I were writing our book on B2B social media, we were furiously interviewing as many people as we could in the B2B sector who were doing interesting things with social. Eric: ...I certainly had my darlings that I came across and said, "Oh, my God, this is amazing." Those are the case studies in the book that are my favorite. Do you have any favorite case studies at this point? Eric: Case studies you're excited about, sort of top line for us. Marcia: Yeah, I do have some case studies. I'm not going to cite them today by name, but I do have case studies, suffice to say, in advocacy, in business, in politics and in the feminist area. There are some fine examples of people in very local situations, as well as global situations, that are creating some very good ways to ‑‑ I don't want to say tame these tools ‑‑ but certainly, build in the sustainability bridges that are required to take people from online action and to keep them engaged over time, so that these become communities of political action. Not political in the sense of a two‑party system, but pretty much communities of interest that will become ever more important to people in the political system to listen to. That it's not just big money, although that will continue to remain important, but it's also big influence. As long as these swarms are effective on one issue, a single issue, and can build that kind of sustainability, they're not going away anytime soon. In fact, I think, they're going to be rewriting politics as we know it. Eric: Seeing how you're talking now to a veritable digital swarm, how can we swarm around you and help you with your book? Marcia: Thank you for asking. You can send any thoughts you have. People that you think might be good to talk to or thoughts that you have to Marcia, MARCIA @causeglobal.com. I'm happy to continue the conversation. To subscribe or share feedback, comment at ontherecordpodcast.com or @ontherecord.